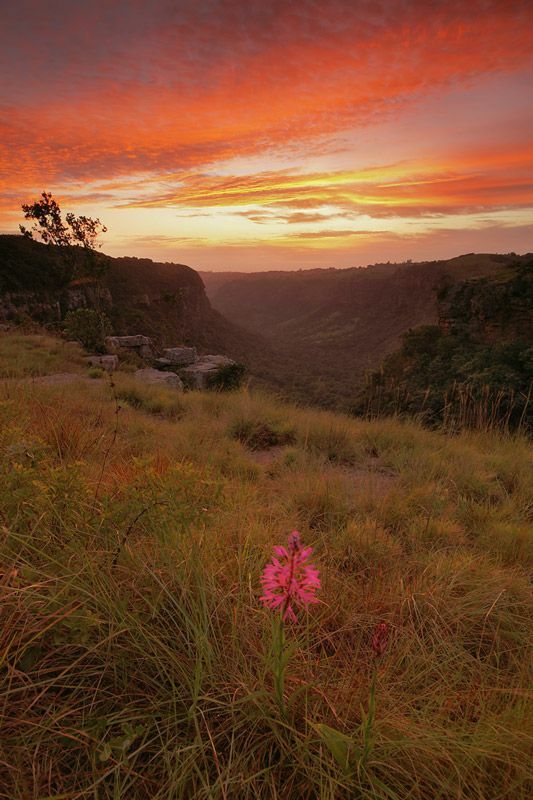 Krantzkloof Nature reserve is not only a biodiversity treasure trove in the traditional sense of flora and fauna but it also has a rich and interesting geological story to tell to the observant visitor. 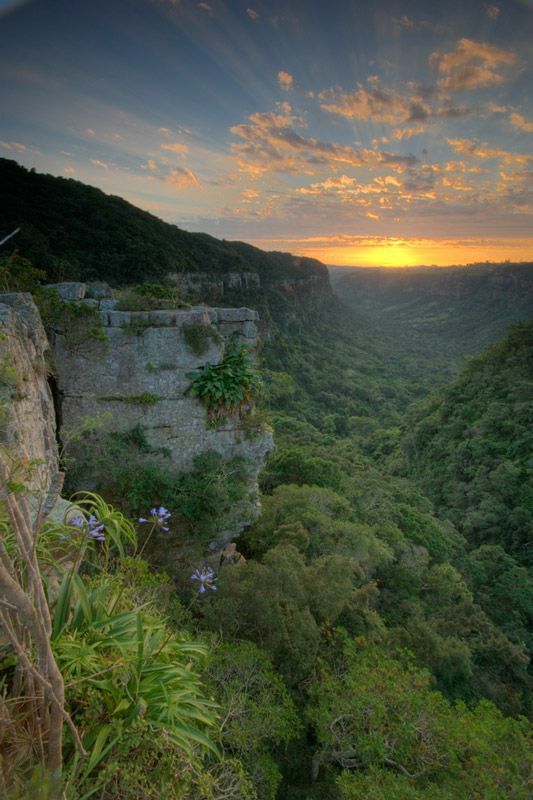 The reserve is based around two spectacular gorges which rivers have cut through the layer of Natal Sandstone which forms the Kloof Plateau. 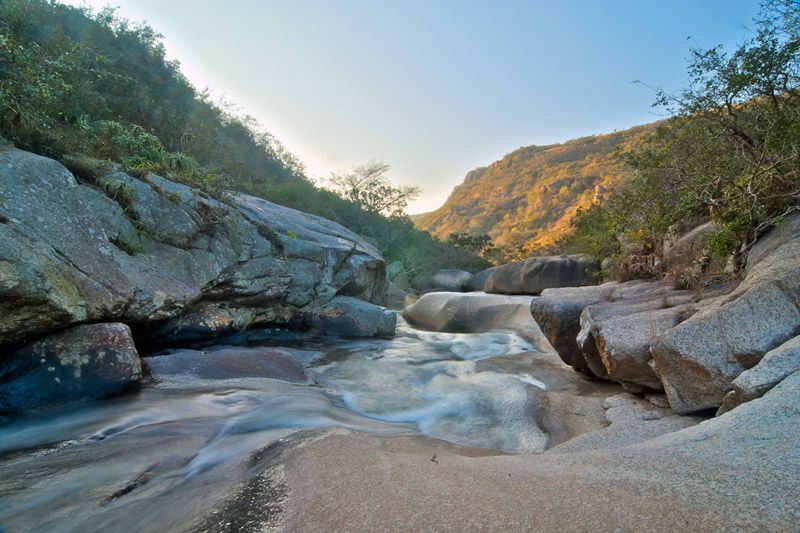 The two main rivers are the Molweni and Nkutu Rivers which are tributaries of the Umgeni River, which in turn flows into the Indian Ocean at Blue Lagoon. To better understand how the gorges were formed and the formations that we can find in the reserve today it is useful to understand some of the basics of the earth’s geology. This diagram shows a hot molten centre gradually cooling and solidifying as one reaches the earth’s crust i.e. the layer we live on. The earth’s crust has cracks or fissures where occasionally the molten magma from the mantle erupts to the surface typically as volcanic action. Re-constructions of the earth’s surface by matching rock types and fossil indicators have shown that 350 million ago there was a large landmass at the south of the planet, called Gondwanaland, which gradually drifted northwards and eventually divided and became the continents in the Southern Hemisphere. The Gondwanaland break-up, where the continents became the distinct entities that we know today, was also accompanied by a series of volcanic events which are thought to have been the result of hotspots in the mantle. So in Krantzkloof we have a very hard granite base which as with all granites, was formed when molten rock rose slowly from deep in the earth. This occurred approximately 1 000 million years ago at the end of what is known as the Pre-Cambrian Era. The slow upward movement of the very hot magma combined with gradual cooling as it rose meant that the rock had the time to crystallize as it rose slowly from the depths. The crystals so formed made it into a medium grained hard rock which is very erosion resistant. Granite is composed of easily discernible crystals of clear, to milky, quartz, pink feldspar and black biotite mica. 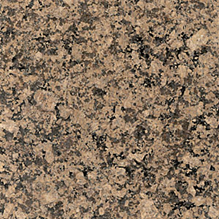 You can clearly see the grain in the image of a typical granite (the granite in the photograph has been polished to highlight the grain) – some of you may have similar granite in your kitchen or bathroom worktops! Granite weathers to a smooth, solid mass often with round boulders of the same rock on top. 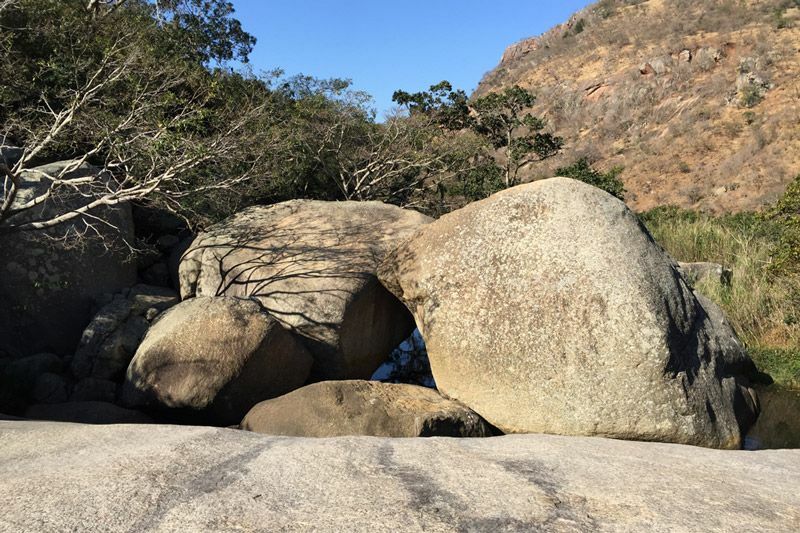 Those of you that walk in the reserve will be familiar with the massive rounded boulders found along the Molweni River. You may often see whitish or black lines in the Granite and these are fine grained material, essentially of the same composition, cutting through the granite as it was solidifying. As time went by, the granite was gradually uplifted and then eroded by the forces of nature until it formed a barren plain. As millions of years went by many layers of sand were then deposited on top of the granite, these are known as the Natal Sandstones. The Natal Sandstones were deposited above the granite layer approximately 490million years ago towards the end of the Cambrian Period. The sand arrived from highlands in the north and was carried by river systems. The water erosion of the granitic highlands brought the grains of sand into the Cambrian sea which is where Krantzkloof is situated today. The sea eventually cut back and eroded its land boundaries forming beaches the same as we see today. The deposition of the original sand of the Natal Sandstone, in layers, is evidenced by cross or false bedding in some of the layers. 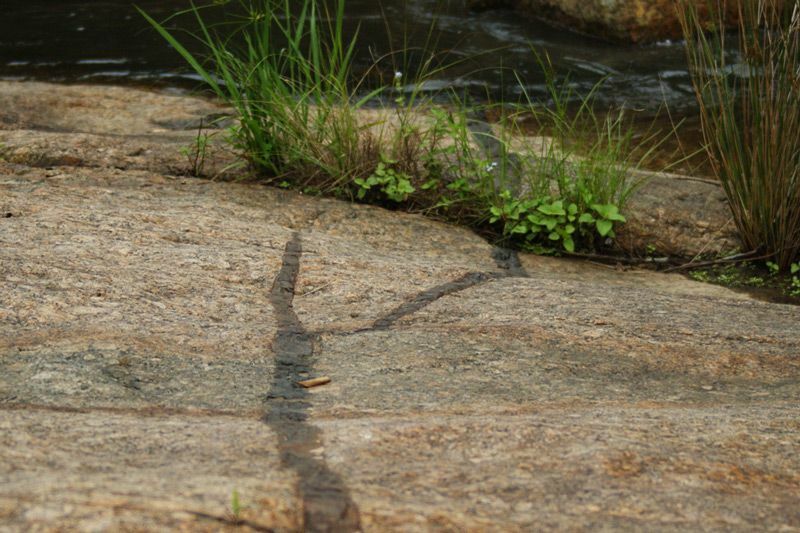 This can be clearly seen in the rocks near the car-park at the Uve Road entrance and many other places in the reserve. The bedding is usually horizontal but as can be seen in the photograph there are layers of cross bedding at an angle. 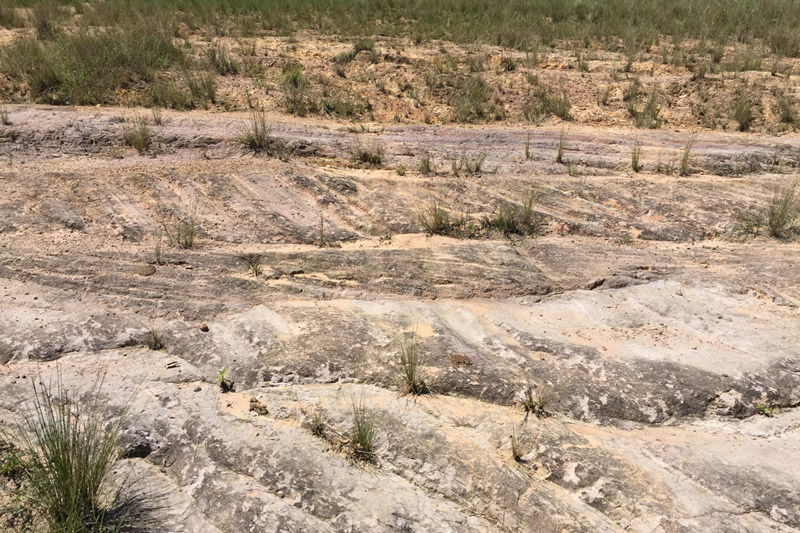 Cross bedding forms during the deposition on the inclined surfaces of bed forms such as ripples and dunes, and indicates that the depositional environment contained a flowing medium (typically water or wind). The cross-bedded unit is planed off by the water or wind before the next depositional cycle. So the presence of cross bedding enables geologists to confirm the way the sandstone was deposited i.e. by water in the case of Krantzkloof. The sandstone layer was deposited over many millions of years so it is not one solid mass. Rather it consists of various layers and includes small, concordant, bedded layers of finer siltstones and clays between the major sand layers. Subsequent burial of the sand and silt caused it to become a rock by the pressure of overlying rocks and/or cementation by the precipitation of minerals within the pore spaces between sand grains. The finer material in the bedding is less resistant to weathering than the sandstone which is why we can clearly see the massive sandstone layers throughout the cliff-faces in the gorge and in the photo of the iNgungubane (Porcupine) Falls. One feature or layer that existed and is still very much present and visible over much of South Africa but is no longer visible in Krantzkloof is the layer of what is known as the Karoo Supergroup. This was deposited between the Late Carboniferous and Early Jurassic, a period of about 120 million years. This Karoo Supergroup layer was largely removed by glaciers and there are no traces of it today in Krantzkloof. Visitors to Krantzkloof cannot but note the many deep vertical incisions that are visible in the sandstone cliffs. Many of these seem like “neat cuts” into the sandstone layer and they are technically known as “dykes” but in Krantzkloof they are colloquially referred to as “cracks”. 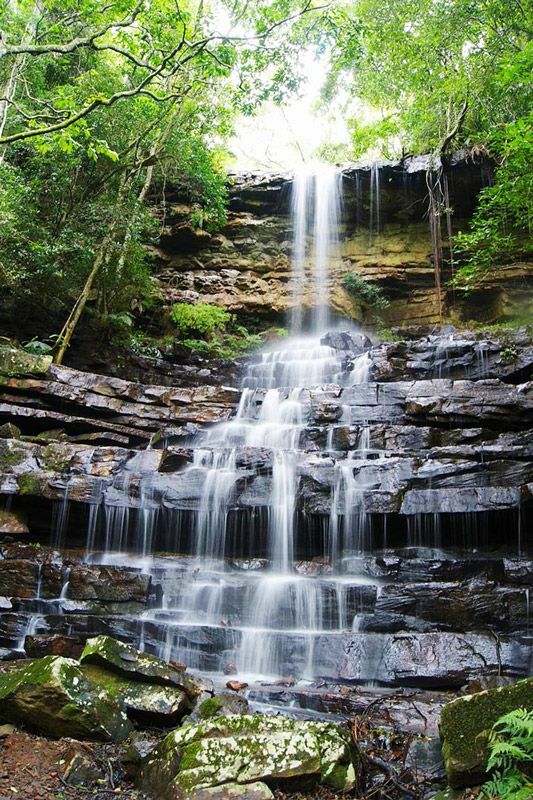 The most visible and frequently visited one is the Nkonka Crack in the vicinity of the Nkonka Falls which is situated on the Forest Trail. These “cracks” were initially formed during the early Jurassic period, about 180 million years ago when a major hot spot occurred during the break-up of Gondwanaland. This resulted in massive intrusions of molten rock which cut through the fissures and bedding planes of the sandstone layers. 70meters deep. These were formed by the differential weathering out of the dolerite, which was less resistant than the Sandstone and this has given Krantzkloof its amazing “cracks”. 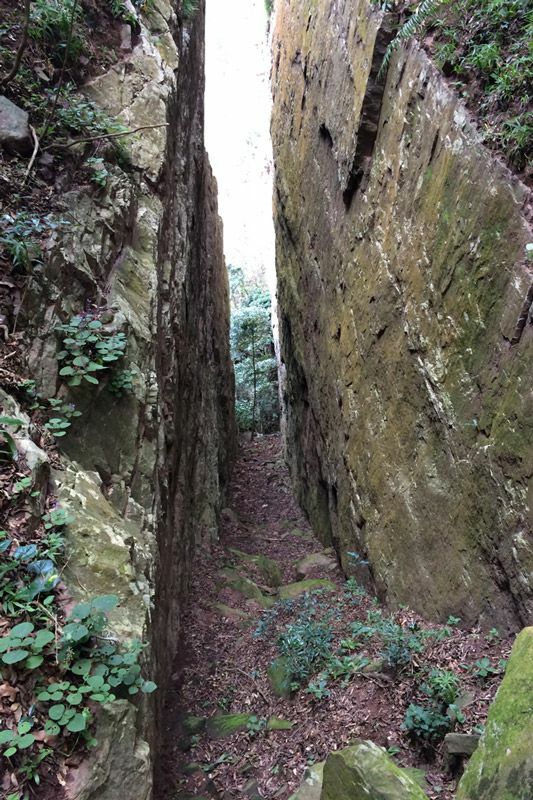 In Krantzkloof Nature Reserve we can, therefore, see three major types of rock – granite basement, Natal Sandstone cliffs and intrusive dolerites dykes. These rocks, cliffs, cracks and other features combine with the rivers to provide an exceptional habitat and refuge for fauna and flora and provide us with amazing scenery, challenging rock-climbing walls and stunning trails. So next time you walk through Krantzkloof Nature Reserve, ponder on these ancient eons and imagine the factory of nature at work – the formation of the granite bed from superhot magma, the winds and floods, the steady and tranquil depositing of sand, the turbulent seas, the glaciers scouring the landscape, the intrusions of molten magma and the crashing of rocks as the rivers toiled incessantly to shape the cliffs of what is today known as Kloof Gorge. Within this context also consider the probably transient role of modern man and the power he has to either protect or destroy what nature has provided. John Waters trained as a teacher and left that profession to become a geologist. He spent most of his working life on mines and exploration in Zambia before retiring to Pinetown. John is member of the Krantzkloof Honorary Officers and a keen student of the geology of the gorge.